Would you just take a look at that. 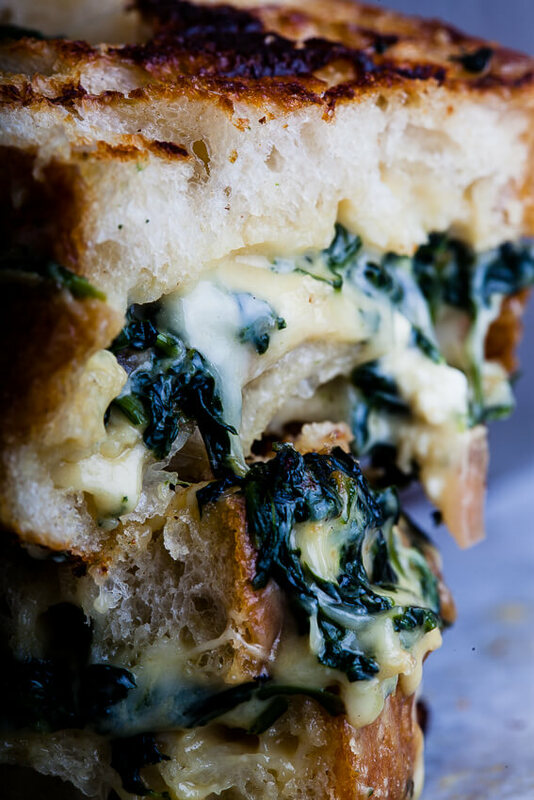 That melty, luscious spinach and feta filling with a little mozzarella for that extra bit of ooze. Yes please! As I’ve mentioned before, I am completely devoted to sandwiches. 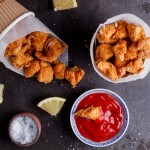 For so many it’s a quick solution to hunger and is a go-to for lunchboxes all over the world. But this need for convenience has made my beloved sandwich really quiet boring. 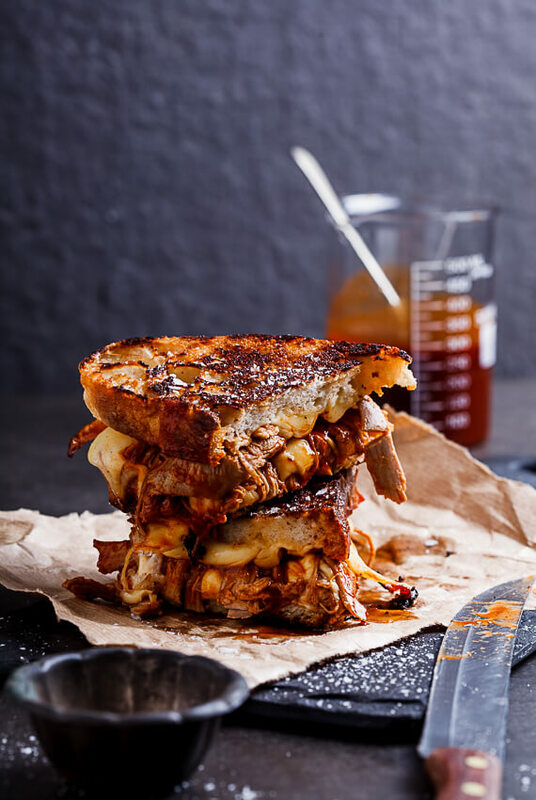 I mean, there’s nothing wrong with a good cheese sandwich and even a PB&J is simply delectable at the right time but sandwiches can be so much more. And for me, every sandwich is an opportunity to create something fantastic. This is quite obvious when you look at the sandwich section on my blog. 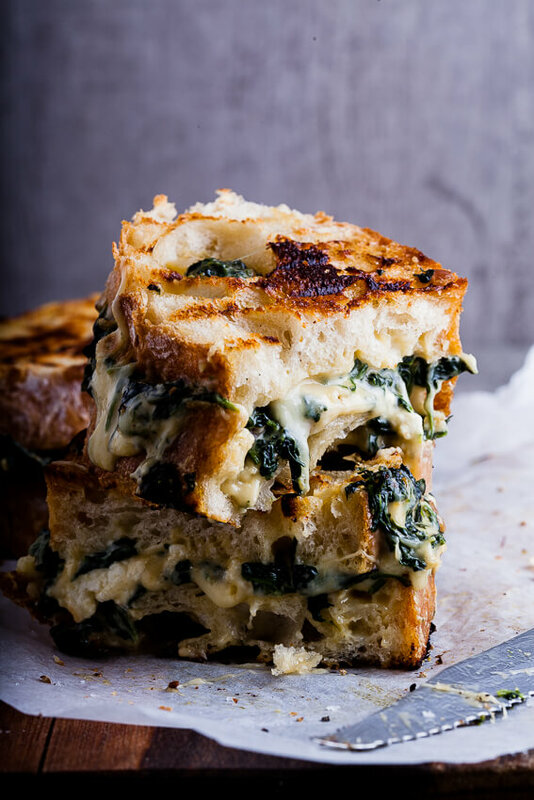 The inspiration for this particular sandwich came one day when I had a considerable amount of creamed spinach left over from dinner the night before. (Left-over queen, strikes again!) I usually just heat it up and serve it topped with a poached egg but I wanted something different and a little more indulgent that day. 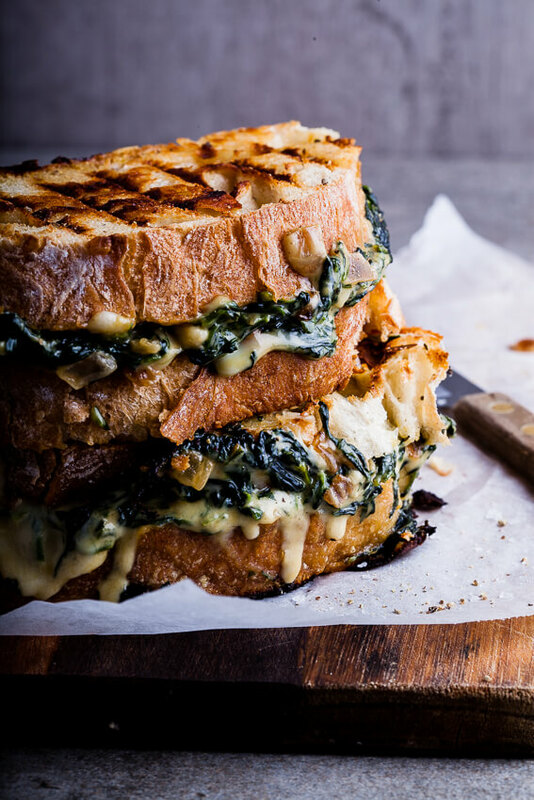 I wasn’t actually sure if this would work at all as I was sure the creamed spinach would just ooze out the sides of the sandwich as it was grilling. Even while it was cooking I was very skeptical but then it was cooked and it was glorious. So glorious in fact that C said it was the very best sandwich he had ever (EVER) had. Say whaaat?! That’s a pretty big compliment there folks. 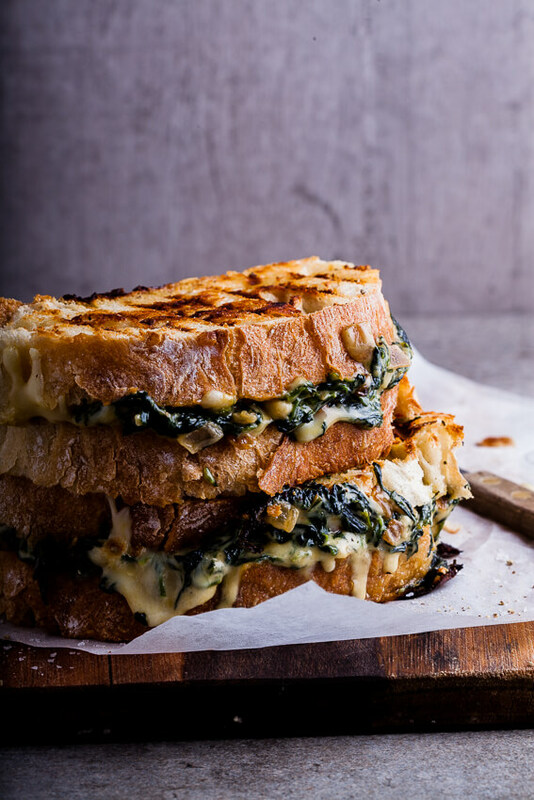 It was so good, that I now make double the amount of creamed spinach I normally do just so we can be assured we’ll have these sandwiches the next day. How’s that for devotion? To make the creamed spinach, wash the baby spinach well then place in a bowl. Cover with boiling water and allow to blanch for a minute. Drain and squeeze out the excess water (be careful, it will be hot). Chop the spinach then place in a warm pan. Add the feta cheese and cream and allow to simmer for 5-6 minutes until the cream has reduced. Season with the lemon, salt and pepper and remove from the heat to cool to room temperature. 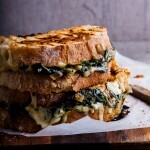 When the spinach has cooled down, sandwich a few spoons with the mozzarella between two slices of bread. Heat a griddle pan over medium-high heat. Generously butter the top and bottom of the sandwich then place on the grill. 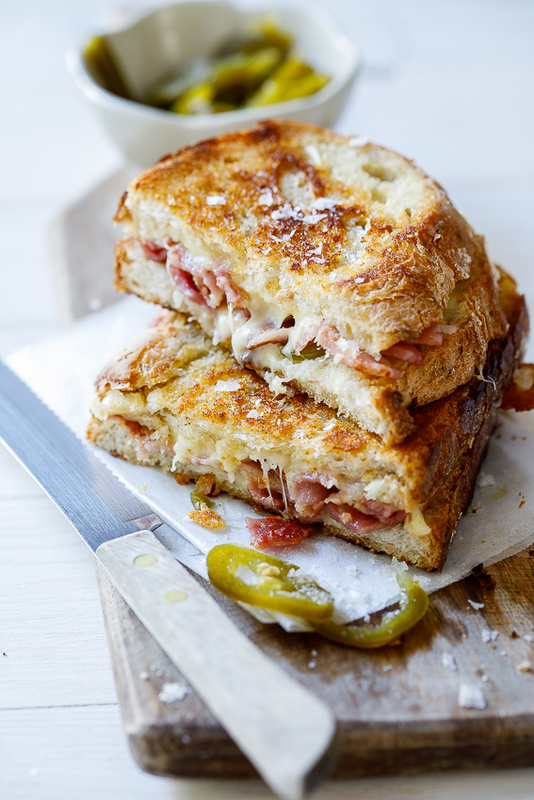 Cook for 3-4 minutes, flipping half-way, until the sandwich is golden brown and all the cheese has melted. Ah you’re right this is indulgent and SO good. I had some leftover prosciutto lying around and added some to this too. Delicious! Thanks for sharing. I’m so glad you liked it! 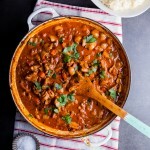 Love the idea of adding prosciutto. Oof! This sandwich is gorgeous! Definitely loving the creamed spinach with feta in there! SO AWESOME! Thanks Katrina! So glad you like it!